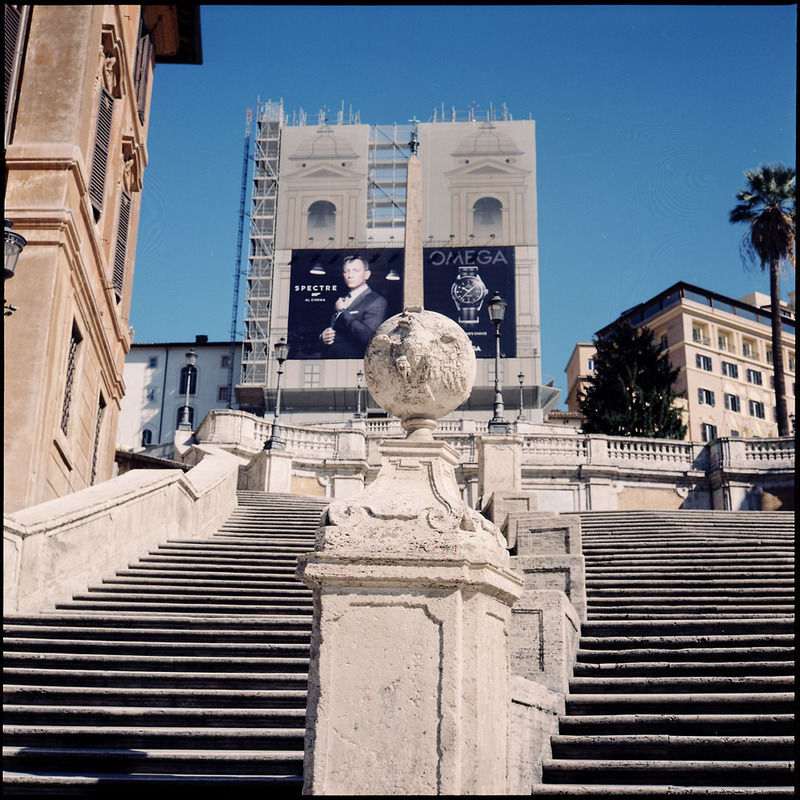 At this moment in time, the Spanish Steps are closed, yes CLOSED, fenced off with chain link fencing, due to an ongoing restoration project. So this shot, taken by poking the lens of my camera through the fence, is something otherwise virtually impossible without photographic trickery. Pretty much 24 hours a day, 7 days a week, 365 days a year, the Spanish Steps are crowded with tourists and the steps themselves are nigh-well invisible. The downside is all those tourists coming to see the Spanish Steps were displaced off the steps and back into the street below, completely over-running the fountain at their foot. So an otherwise lovely fountain was unphotographable.